Guzman Y Gomez: FREE BURRITOS from 12PM-7PM today! You’ve waited long enough: Adelaide’s newest and truest Mexican taquería is finally here. Taco bout a party! 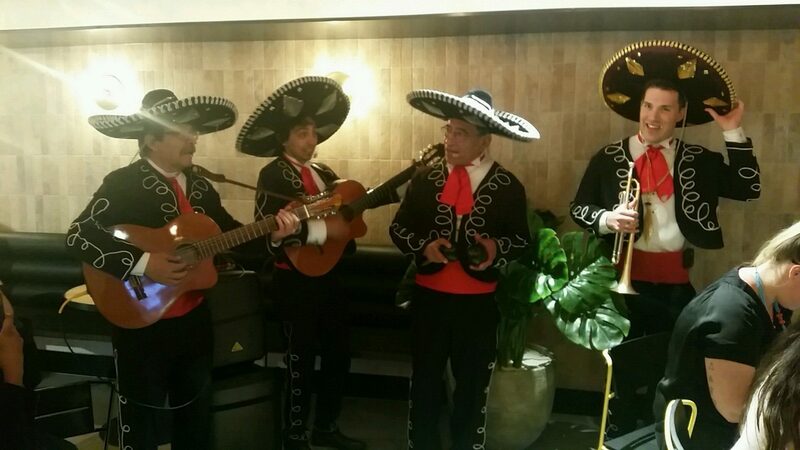 Located on the corner of Rundle and Hindley Street, Guzman Y Gomez held an opening celebration last night, serving their authentic cultural food packed with rich flavours in the company of a very impressive Mariachi band. On offer there were a selection of burritos and burrito bowls, served with our choice of beef, chicken or veggies, mixed with rice, black beans, Jack cheese, salsa and salad fillings, rolled in a flour tortilla. At the salsa station we had a choice of roasted or pickled jalapeno, habanero, coriander, smoky chipotle or Spanish onion sauces, all of which woke up our taste buds with a bang of spice. Drinks on offer included a range of Mexican-branded soft drinks, and for dessert we downed cinnamon rolled churros dipped in dulce de leche (this was so addictive we went back at least four times). The Adelaide store is the first Guzman Y Gomez in South Australia, and the co-founders of the brand, Steven Marks and Robert Hazan, are more than excited to be bringing quality Mexican food to the state. CEO, Mark Hawthorne, outlined the dedication these founders have put in to providing Australia with the most authentic Mexican food they could; they designed 18 different types of corn-chips before they found the right one, and they spent 18 months making potato fry recipes so that they were 100% pure potato. Even if you’re super picky about where your food comes from, you can trust Guzman Y Gomez uses only the freshest produce and best brands. Mr Hawthorne highlighted that the owners’ aim for the company is to reinvent fast food at the holy grail of a high quality level, whilst maintaining the Latin culture from where it originated. Not long after this store establishes itself in the Adelaide fast food scene, there a big plans to move it to the suburbs, and eventually create effective drive-thrus. In celebration of opening to the public today, Guzman Y Gomez is serving FREE BURRITOS from 12-7pm! We suggest you take full advantage of this, and can promise you’ll be back soon enough, whether it be on your lunch break during the day or coming home at 2am from a Saturday night out.